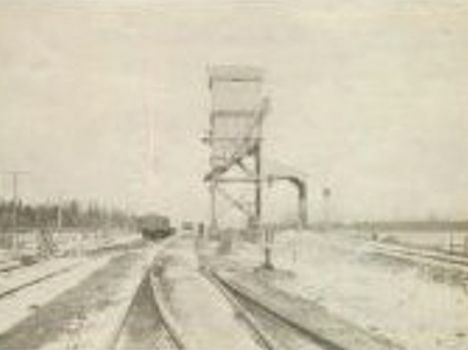 The Michigan Central provided coal to its locomotives on their long route to and from Mackinaw City, Michigan from Bay City. A helper unit was also reportedly stationed nearby to assist trains over hilly terrain. Though no details are known, this was a very intimidating structure for northern Michigan. It had a loading track at the right. The dock is gone and the entire area is forested now.